At the beginning of this year, Wallpaper magazine named Copenhagen the best city in the world. It’s also been referred to as a Design Capital and rightly so. After a recent visit to the Danish city to see the brand new Hay Vintage shop in its new permanent home, we thought we’d make a list of reasons – ok, mainly this is shops – that have led us to think so. A travel guide for the design obsessed if you will. Let’s begin in the place that enticed us there in the first place…. After successful pop-up shops in Broad Street, Hay Vintage has made a permanent home inside the Hay store on Pilestræde. 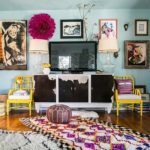 As Emily’s House regulars will know, the Vintage arm of Hay offers a great collection of Moroccan and Turkish carpets, including Beni Ouarains, Azilals, Boucherouites, Caputs and Kilims – each piece a unique, handmade creation. 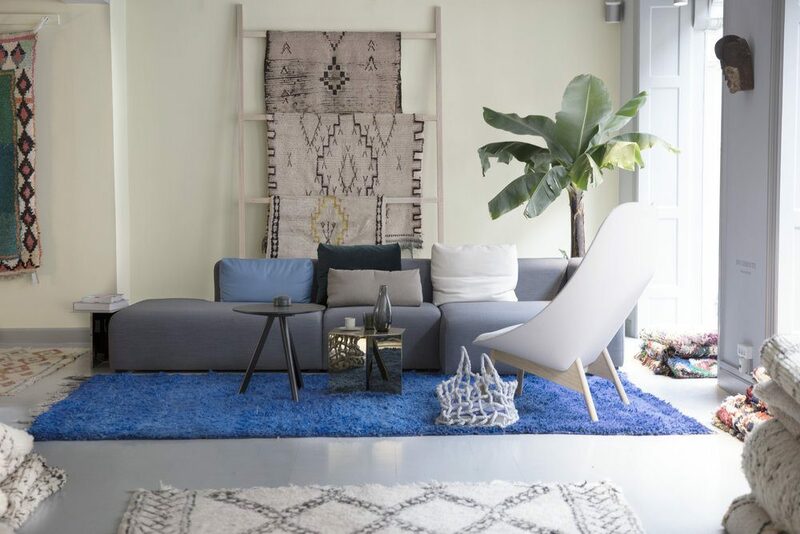 Anne Langkilde, who runs Hay Vintage regularly travels with us to Morocco and Turkey where she “selects the blankets that we think fit well with the Hay collection. Carpets are an important part when it comes to creating a home. They tie a room together and give it character, but most importantly, make it cosy and nice.” It’s definitely the right time of year to be thinking about cosy and nice…. 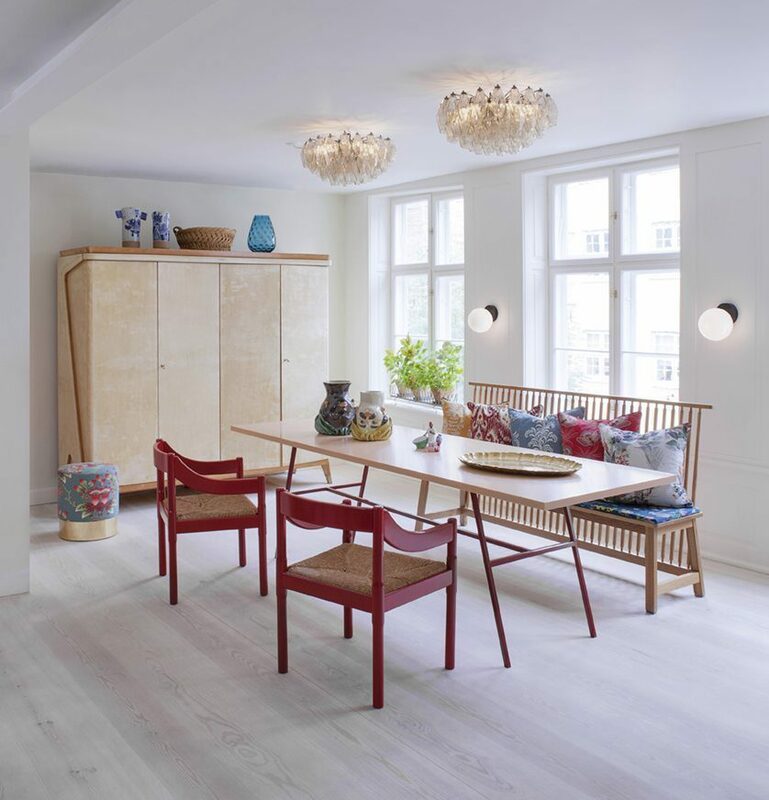 Furniture brand &Tradition opened its unusual waterfront showroom on Copenhagen’s Paper island in 2014 – it was designed by tastemakers Norm Architects. 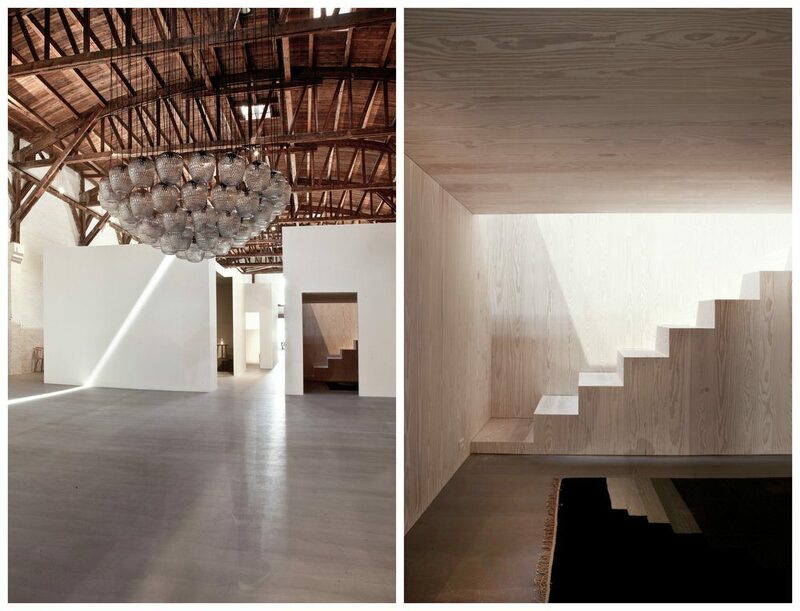 A design showroom with a twist, it’s housed inside a 1000 square metre warehouse which is sectioned off with 12 boxy white cubes, each one with subtle architectural differences and each containing a different room setting – kitchen, living room, dining etc – to showcase the &Tradition collection. This comprises furniture and lighting from the 1930s to the present day and includes creations by internationally renowned designers. Partly inspired by the New York design spaces of Donald Judd as well as the Gagosian / Richard Serra installation, it’s minimal, individualistic and not to be missed if you are in CPH. Beware if you’re planning a trip to The Apartment as it’s only open on tuesdays and thursday, 11-4pm and it’s REALLY worth any effort required to make this window. Its founders Tina Seidenfaden Busck and Pernille Hornhaver, describe it as “a liaison of 20th century furniture, contemporary art and design, showcased in the elegant setting of a beautifully restored 18th century apartment in a charming district of old Copenhagen.” Which just about paints the full picture, but the place needs to be seen to be believed. 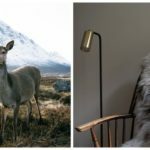 It’s a delicately balanced mash up of notable antiques, unique and precious vintage textiles and one-off editions from contemporary designers such as Michael Anastassiades, Muller Van Severen, Ilse Crawford and McCollin Bryan. The rooms and furniture change periodically, though they tend always to be painted with the most recent gorgeous Farrow & Ball colour you’re hankering after (soft pink and various teals and blues dominate at the moment). Only last month, Fritz Hansen opened its Flagship store in the centre of Copenhagen taking over a former mansion / post office building. Inside, its beautifully proportioned rooms are styled to perfection with the brand’s iconic furniture – Arne Jacobsen Egg, Swan and Series 7 chairs, classics from Poul Kjærholm – and newer works from Spanish designer Jaime Hayón, Danish architect Cecilie Manz and cabinetmaker Kasper Salto. We love the simplicity of the palette in the room above – white walls mixed with natural materials and a few details in black or pink. The exhibition Learning From Japan was on when we visited the Designmuseum and it’s open until September 2017 so you have plenty of time to catch it. Putting a spotlight on Japan’s influence on Danish design in the 20th Century, the curator – art historian Mirjam Gelfer-Jørgensen – brings together the best of design, crafts and graphic art from both countries to highlight the parallels that exist between their cultures. Japanese design was particularly influencial in shaping the Danish tradition of taking cues from nature to inform design work. 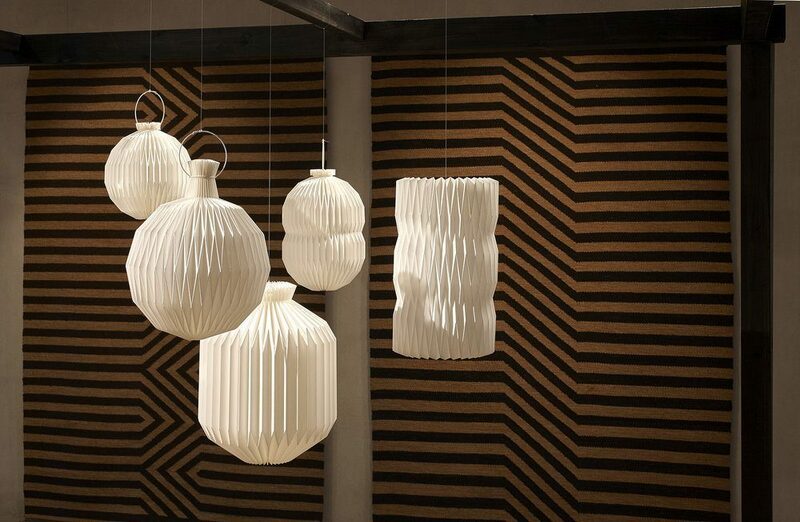 Find ornamental Japanese swords, paintings, ceramics and pottery showcased alongside eponymous 20th Century Danish products that are still in huge demand today – such as the Origami-inspired lights from Le Klint above. An aesthetically pleasing education that will probably make you want to seek out Japan next.